NOTE: This is for use when a hard reset is required on your SJ7 Star. Please refer to standard SJ7 firmware updating procedures (Click Here) first before doing the steps below. 3. Turn off the camera and extract the battery. 4. 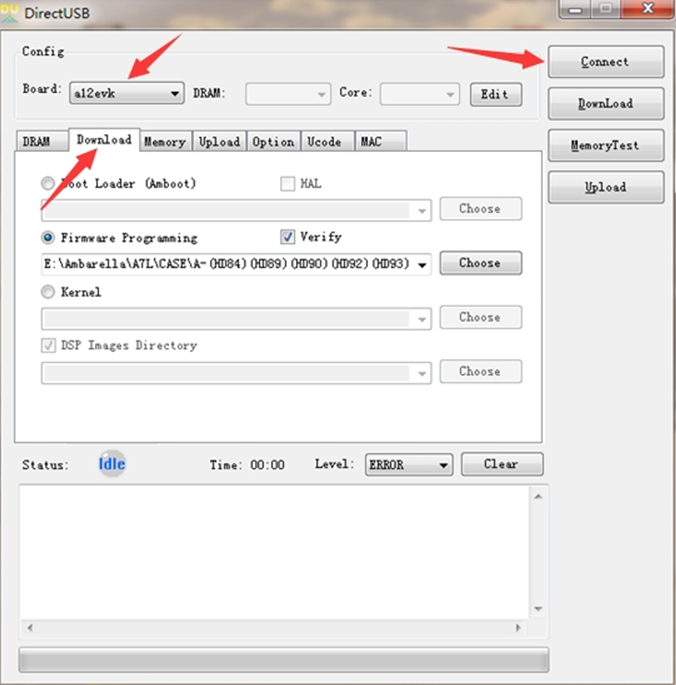 Press and hold the SETTINGS button, then connect the USB cable to the camera from the computer and then press the Power button. 5. Open the DirectUSB tool. 10. Disconnect the USB cable, insert the battery and turn on the camera. 2. Select ‘Restart Now’ in Advanced startup. 3. Select Troubleshoot à Advanced Options à Start-Up Settings à Restart à Disable driver signature. For article suggestions or feedback, please create a ticket at support.sjcam.com or email troy@sjcamhd.com with the subject-line: "USB FIRMWARE PAGE FEEDBACK"